Appearing here as a virtual mockup, in truth, this PET is made from polyethylene terephthalate plastic resin. In addition, this PET has a wide mouth opening and no notable shoulder surface. Held in hand, this 390g product measures 122mm high and 92mm wide and a ribbed white shallow closure. Finally, this PET product is generally used for dry powdered goods such as laundry detergents, baking sodas or gardening nutrients and so on. 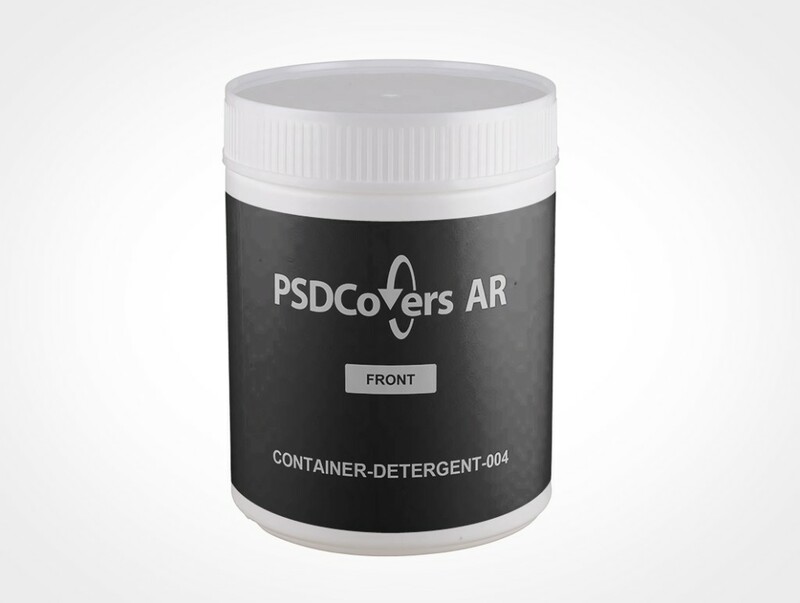 Open Photoshop, use PSDCovers to select from one of 168 existing CONTAINER-DETERGENT-004 product perspectives. In practice, you will only have to spend time creating a single artboard for this PET product which is then overlayed to any favored perspective. Whether your template layout is a wrap label, spot label, sticker print, silk screening or PS label it will be exactly overlayed to the container. 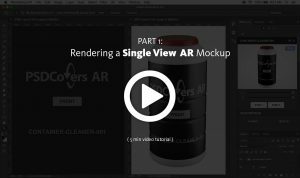 Regardless of which container view is selected, the completed sequence is an workable Photoshop mockup. 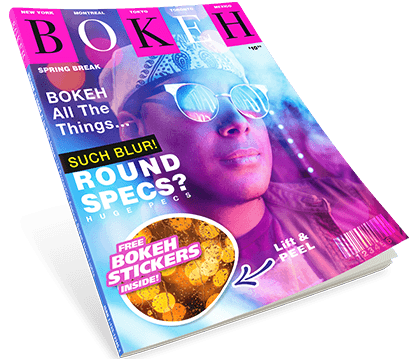 Feel free to adjust the fully transparent background or select your own or quickly select another the colour. What’s more, reproducible product highlights from the photo shoot LEDs are enclosed. Optionally, you can also render a 360° video of this PET or as a spinnable VR experience using our embeddable player. 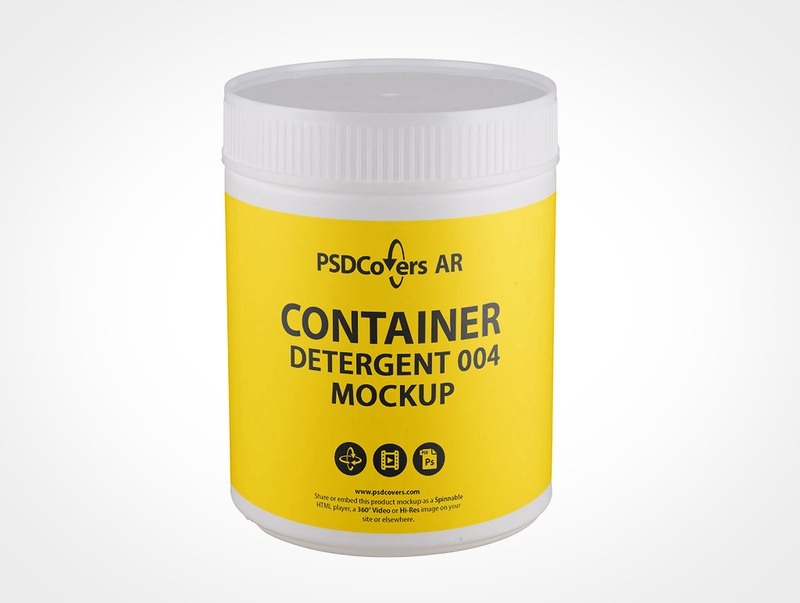 Press the Spinnable Sample button above to view the CONTAINER-DETERGENT-004.